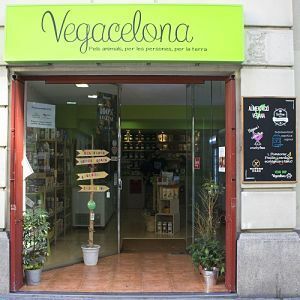 In our shop we sell many vegan products, many of them are from the organic farming. We work with companies that look for the environment, like us. We are located near to Sagrada Familia, just a few blocks from the cathedral.